Letters on Abortion, 1 | Theopolis Institute | Bible. Liturgy. Culture. What is below is fairly self-explanatory. This is an exchange I had with a local liberal clergyman on the subject of abortion. The circumstances of the debate are included in the text itself. I initially e-mailed this out to a list of clergy in our city after a local (and infamous) abortionist discovered that the cremens of aborted fetuses, which had been turned over by law to a local mortuary, had then been given to one of the local Roman Catholic churches for burial and Christian interment and ceremony. This became something of a local scandal when the local newspaper published the story. Only my posts are included because I do not have permission from the other party to publish his responses, and I do not feel I can in good conscience. However, some excerpts from his posts are included, and those should make the context of what I say more clear. This is the text that I initially sent out to our list of local clergy. I am sure most of you have by now seen the stories concerning a local mortuary and Sacred Heart of Mary Catholic Church in the local newspapers, or on the television and radio. For several years, this mortuary has been the recipient of the bodily remains of aborted children from the local abortion clinic owned by a nationally infamous local abortionist. The mortuary has offered its services for these unborn children and has, gratis, given cremation to them. But beyond this, every several months, the cremens have been given to Sacred Heart of Mary Catholic Church, and the priest and pastor from there has done a short service of Christian burial in their own churchyard. In the churchyard there is there a memorial wall to the unborn. This has been a very courageous act on the part of the Mortuary and of Sacred Heart. Recently, our local abortionist learned of these Christian burials, and predictably this has created something of a public firestorm with him accusing the Catholic Church of “cynical exploitation. . . for political purposes,” among other things. It seems probable that his relationship with the mortuary will end, and that henceforth the remains will be disposed of in a way that seems suitable to him. This mortuary has done what Bonhoeffer spoke of, which created a space of lawfulness in the lawlessness of Nazi Germany. They dared to whisper the Name of Jesus Christ over the remains of these children by allowing the good Father from Sacred Heart to grant Christian interment to them. This has restored the status of “persons” to these destroyed children. Nothing could be more important. Yesterday, I stopped by the mortuary and expressed my appreciation for their very courageous action. I cannot tell you how much my few minutes were appreciated. Let me give a short meditation on the meaning of these actions over the last few days. Have you ever stopped to think why the very short book of Philemon is in the New Testament? It is a very short personal letter from the Apostle Paul to a friend of his, a prosperous Roman slave owner who is of course, named Philemon. An escaped slave who is the property of Philemon by the name of Onesimus, somehow came into the orbit of the then imprisoned Apostle Paul, and through Paul’s ministrations become a committed Christian. Paul is now sending Onesimus back to his master, presumably with this letter in hand. The letter, briefly, is a plea for Philemon to receive Onesimus kindly, and even as a brother. What is significant is that Onesimus and Philemon are understood, in some sense, to now share a complete equality. Notice, I said “in some sense.” Onesimus still will have the legal status of a slave and will be continue to be the personal property of his master. But, in the church of Jesus Christ, they are one. They are baptized into the same Name, they partake together of the Body and Blood of their Lord week by week. They together are bondservants of the same Master, and are together freed men in the liberty of Christ. This is dynamite in the context of the Roman Empire, where increasingly as it moved into decadence, solved everything in one of two ways: more slavery, and more death. This short epistle should be seen (as N. T. Wright explains) in the light of, and as a commentary on, Ephesians 3:8-12. Verse 10 says, “[God has revealed to me the Gospel] to the intent that now the manifold wisdom of God might be made known by the church to the principalities and powers in the heavenly places.” The church is “on the boards”, on a stage, so to speak, before the principalities and powers (those powers that rule the world before, and outside of Christ) as a demonstration to them of what has now come to be true in the cosmos as a result of the resurrection and ascension of Jesus. The truth that Christ is King is not yet manifested or worked out in the world, even though it is true. But the church is the theater where this truth is played out before the principalities and powers for them to see. It is, week by week, an announcement to them of what will become world wide truth and manifestation. So, when the principalities and powers observe Philemon and Onesimus as complete equals in the church, partaking of the Body and Blood of Christ together, it is an announcement to them of their doom. The truth is always played out in the church before it is manifested in the world. And indeed, as Rome collapsed, slavery disappeared in the larger world. There was no slavery in the medieval world for more than a thousand years. It was only with the birth of the African slave trade, and as the principles of the Enlightenment took hold, that slavery and racism emerged in the modern world (notice the indifference of Shakespeare to the issue of color; racism is largely a more recent phenomena). Then, slavery had to be reconquered all over again, and this has never happened apart from the church. Now, this same principle is at work. 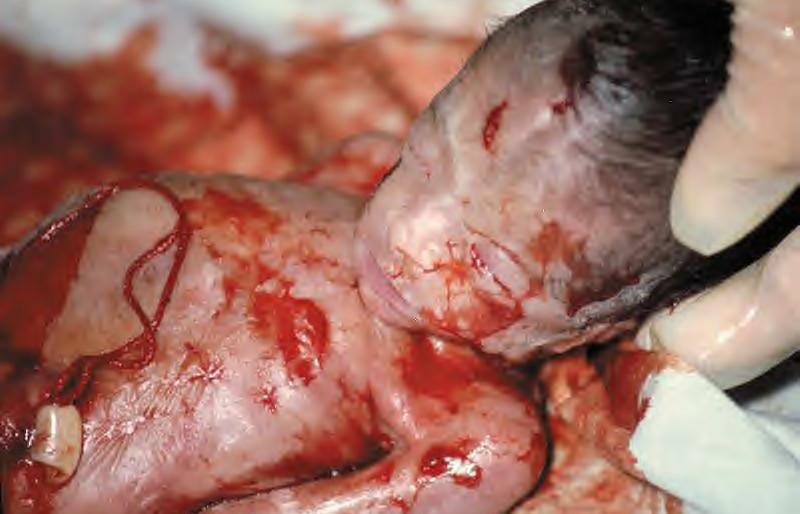 When the priest, following 9 o’clock Mass, gives Christian burial to the cremens of aborted children, this is being done in the face of the principalities and the powers. This too is dynamite in the context of the modern world. It is an announcement to those principalities and powers that in the name of Jesus Christ their reign is over, and unborn children are now to be received as full citizens with complete equality in the Kingdom of God, under the protection and sponsorship of the Son of God Himself. This is not a political act, it is rather a supra-political act. It is an act of power speaking to the very foundations of the cosmos. As Christians, we need to understand that what we do in the church week by week, is spiritual warfare. Nothing is more potent, nothing is more relevant. This is very much the meaning of the book of Revelation (the book of spiritual warfare) being entirely structured as worship. Praise God for what is happening tomorrow morning. An Announcement is being made, and the principalities are trembling.